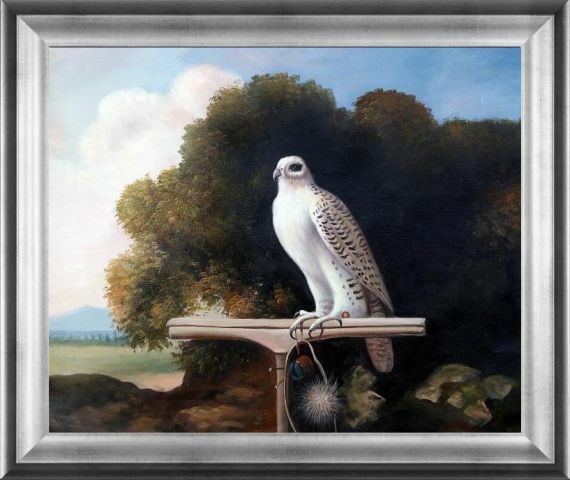 This realistic portrayal of a majestic predatory bird is the only known picture of a falcon made by renowned English wildlife painter George Stubbs. Made in 1780, Stubbs painted from a live, captive bird sitting on a perch in front of him. 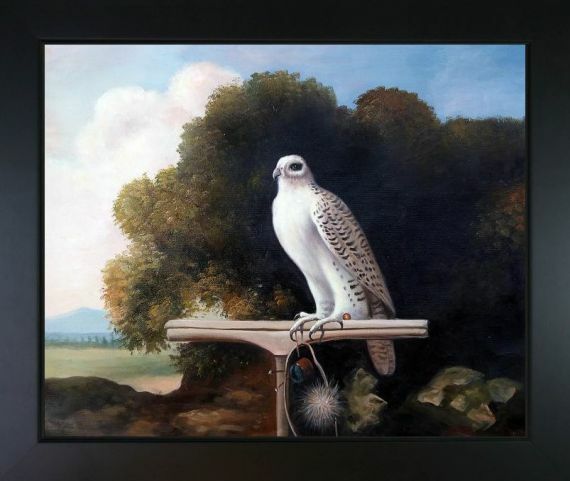 The bird in question is now known as a gyrfalcon and is found throughout the northern hemisphere, rather than exclusively in Greenland. 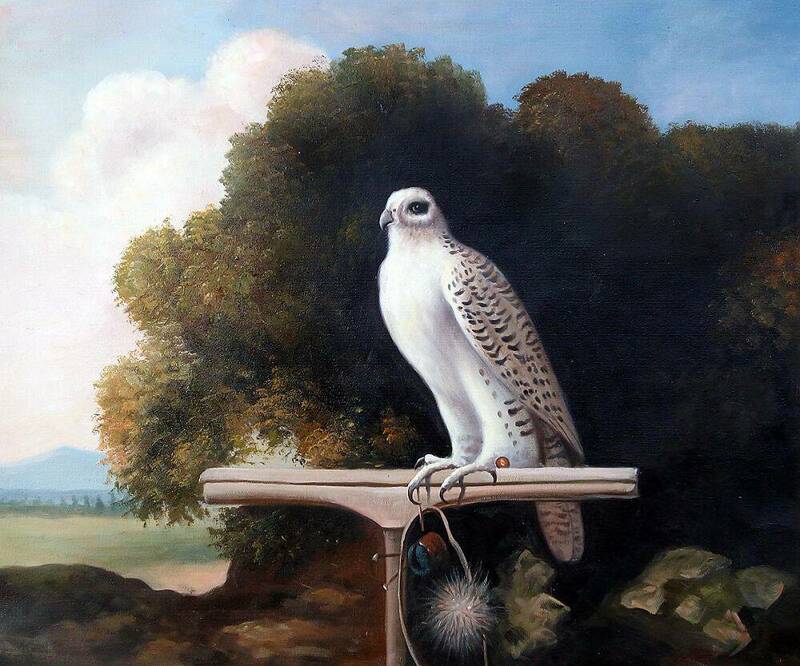 The largest of all falcon species, it can be found breeding along many an Arctic coast during the proper season. 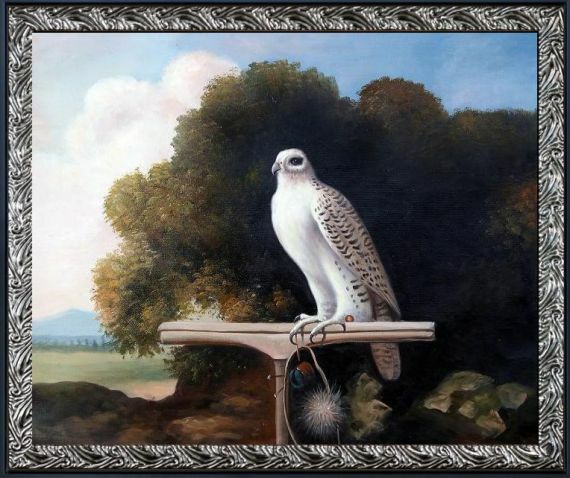 A truly magnificent bird has been immortalized here by not only Mr. Stubbs but by our dedicated artists who have recreated the image in oil on canvas for your personal enjoyment. 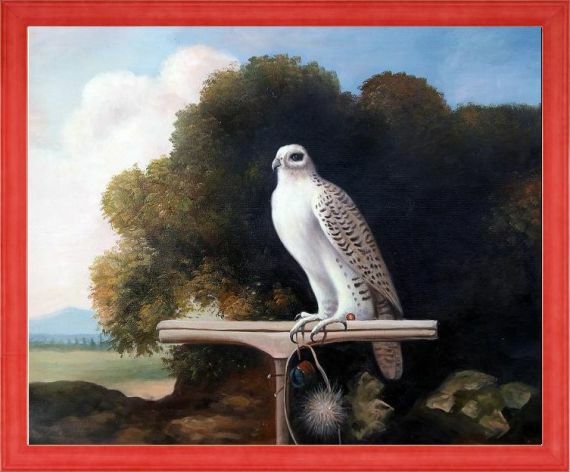 Color Palette for Greenland Falcon is empty.